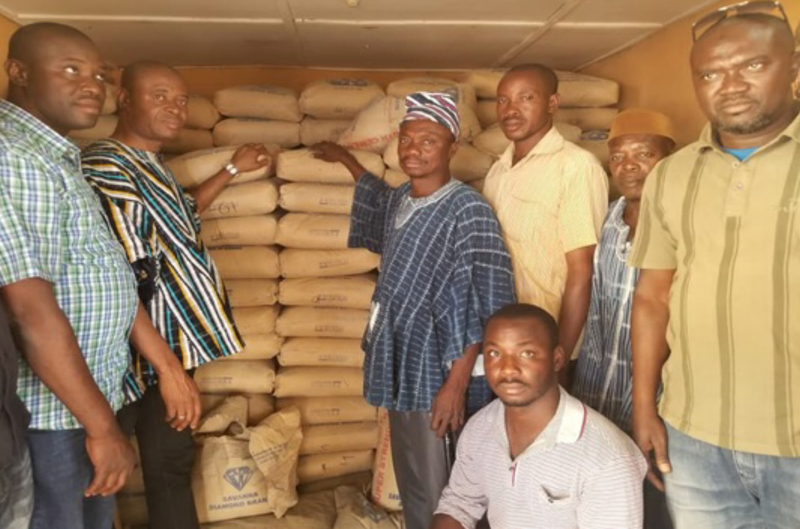 The Member of Parliament for Bole Bamboi, Yusif Sulemana has put smiles on the faces of his constituents by embarking on various initiatives during recess. The benevolence was in the form of cash donations, donation of cement bags and the commissioning of pavilions in selected communities in his constituency. The first gesture involved the presentation of a cheques to women groups to boost their businesses, with most of them into retailing of foodstuff, gari and shea butter processing and farming. To this end, he presented an amount of GH₵40,000 for these groups and explained that the money will be used as a revolving fund for the groups. Another one was a presentation of 300 bags of cement to Tinga community in the Bole Bamboi constituency. “The cement is my contribution towards the construction of classroom for their community SHS. I used the opportunity to appeal to government to absorb the school into government schools”he said. He also inaugurated two pavilions for Maluwe and Bandankwanta, which has already been designated as a Community-Based Health Planning and Services (CHPS) to help in health delivery. The MP also cut the sod for the construction of three boreholes in Bandankwanta Dagaba community, Manful and Nyimange all in the Bole Bamboi constituency.